Nikki is a very talented colorist who also specializes in fantasy color. Fantasy color is a multi-step process that requires significant expertise. From purples, blues, and pinks to browns and blondes, she brings to life any desired color of your dreams. 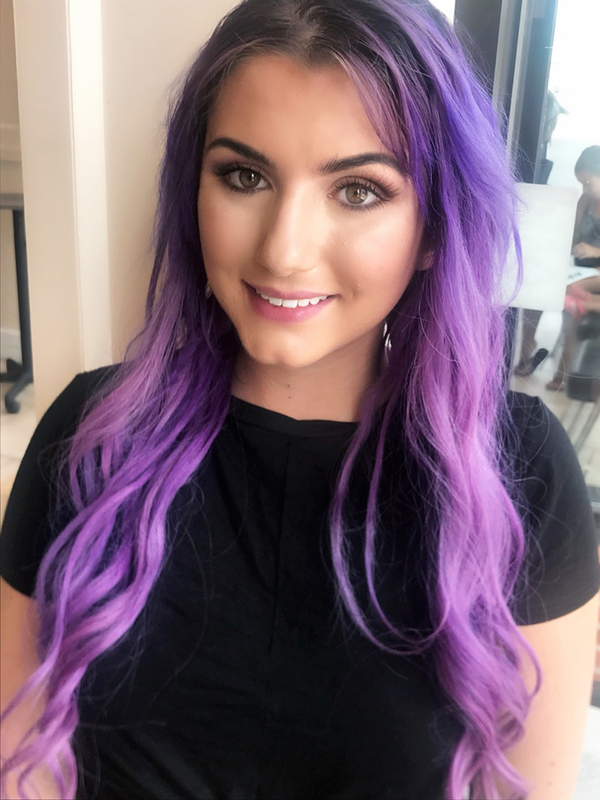 She has an eye for creating innovative color design while combining shading and different coloring techniques to customize each individual process in the most flattering way. Nikki has a passion for mixing shades and adding dimension to hair to create brilliance. Nikki also specializes in hair extensions that can not only add length to your hair, but can be used to add volume as well. She is also accomplished in updos, braids, curls, cutting, and much more.